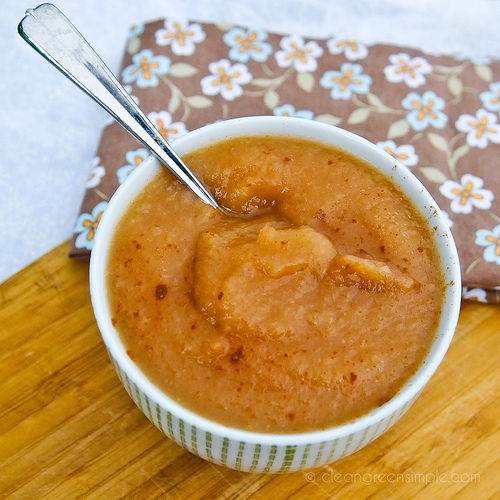 Homemade applesauce – tastier and healthier than store bought! It’s funny how the way we are raised and the experiences we have affect our perceptions. For example, in my family we always made mashed potatoes from scratch, and we made them fairly often, so to me, making mashed potatoes has always felt super easy – even when I didn’t cook much else it didn’t seem like a big deal. But we always just bought jars of applesauce, so I was unfamiliar with how it’s made and it seemed like something that would be sort of fancy or complicated. Not that I really thought about it much. 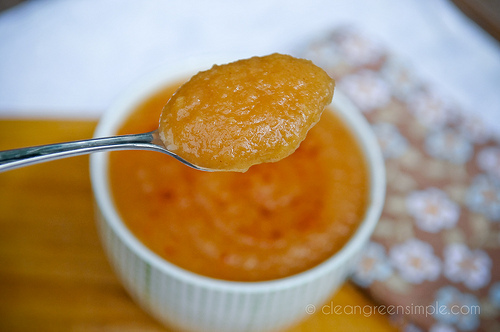 Now that I try to think twice before I buy anything that’s been prepared, I wanted to use applesauce for some baking (you know you can usually substitute applesauce for oil – just the same amount – right? It’s a great little trick!) and it occurred to me that applesauce is probably something you can make at home. 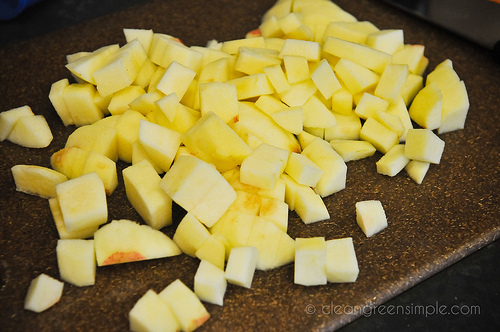 Let that boil for maybe 20-30 minutes, until the apples get nice and soft, and then either mash it with a potato masher, whip it with a hand mixer, or blend it (depending on how smooth or chunky you want your applesauce) and, ta-da! 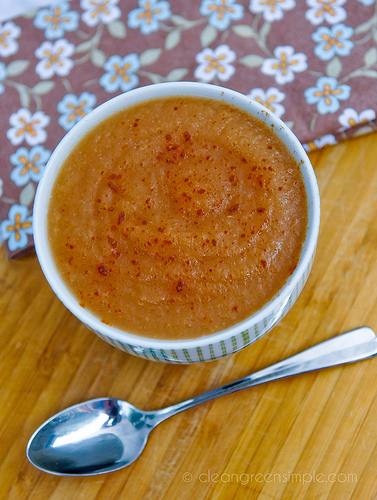 You’ve got applesauce with no extra sugar or preservatives that tastes amazing. You can also add a sprinkle of cinnamon, some agave nectar or other sweetener (I’d taste it first though, if you use reasonably sweet apples it doesn’t need any. I used gala apples and didn’t need sweetener at all) or whatever other flavorings you might like. Now there’s probably some of you who haven’t made mashed potatoes from scratch, so my comparison isn’t too compelling, but trust me, those are super easy too! So what things have you always bought from the store that you later learned were really easy to make? Or what have you always made from scratch? 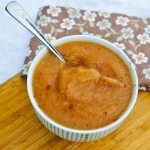 Servings: 4 apples makes about 1 1/2 - 2 cups of applesauce, but this recipe can be doubled or tripled no problem. 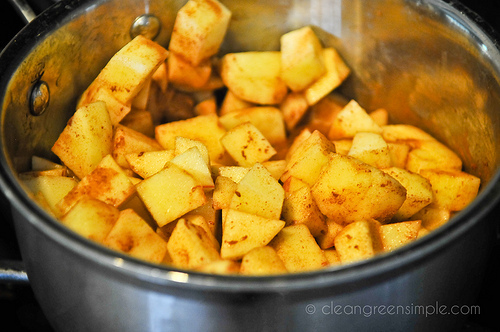 Add apples, water, lemon juice, salt and cinnamon (if using) to a medium pot and over medium heat and bring to a boil. Boil for about 15-20 minutes until the apples are soft and easily pierced with a fork. 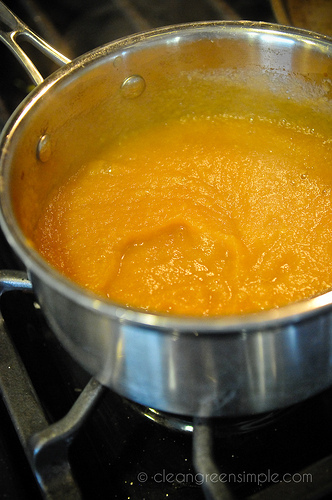 Blend with a hand mixer, potato masher, or immersion blender, adding agave nectar if desired. 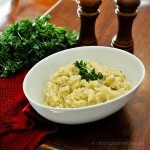 Serve immediately if you want it warm, or refrigerate for an hour or two to serve cold. if you get a food mill you can leave the skins on. then once the apples are soft run everything through the food mill to get the skins out. i think it ends up healthier because the skins are still on through the cooking and there is less waste. have you ever canned food? Using a slow cooker sound great, how long do you cook it? I always put in raisins too- and lots of cinnamon! 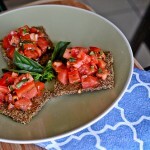 Hummus and salsa are so great homemade! For pasta sauce, try making my marinara sauce but letting it simmer for an hour and adding maybe a tablespoon or so of sweetener (I’d recommend agave nectar but you can use whatever you like really) – the secret to many of the commercial ones is that they have a bunch of sugar in them, which many home cooks don’t think to add. Letting it simmer longer mellows out some of the acidity that canned tomatoes can have. Don’t know if you’ve tried that or not but it might help! my son loves applesauce, will eat it night and day. I find if I make it it is easier on my pockets. How long will it last in fridge? Can something be added to preserve longer? It keeps for about a week in the fridge, but if you want to make huge batches at once you can divide it up and it freezes great and keeps for up to a year. In answer to your question… Guacamole! I used to always purchase it or only order from a restaurant, then one day in an attempt to re – create the best I have ever tasted from a restaurant, I looked up how to make it and added some flavors I remembered from my new favorite… Upon looking up the recipe, I learned guacamole is so very simple! I can’t believe it took me so long to make it myself. Now, it is one of my “go to” party favorites! P.S. The secret is a bit of Lowery’s seasoning… plus a few other favorites, but that is the biggest one, no one ever thinks of!